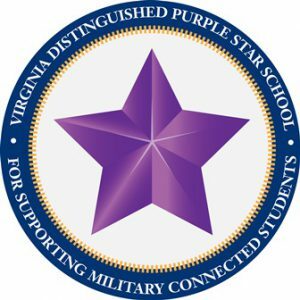 GFE is proud to announce that we have been selected as a 2018 Purple Star Designation from the Virginia Council on the Interstate Compact on the Educational Opportunity of Military Children. This prestigious award is presented to military-friendly schools that have demonstrated a major commitment to students and families connected to our nation’s military. It is my honor and privilege to welcome you to Grassfield Elementary. As you may know, we are so very proud of the many accomplishments of our school including academic excellence, as well as our students and staff. In fact, our school was recognized by the Virginia Board of Education with the Virginia Index of Performance Excellence award in June. Moving forward, the staff at Grassfield Elementary, as a professional learning community, continues to be committed to working collaboratively with the total school community to ensure that the needs of the whole child are met in an equitable safe environment. We believe that every child matters and every moment counts. More specifically, our focus continues to be on ensuring that all of our children reach their full potential as readers and writers as literacy is the gateway to many opportunities for our children today and the future. In closing, I urge you to take the time from your busy schedule to become familiar with our school, as well as to establish partnerships with our team to ensure that your child reaches his/her true potential this school year. Please be sure to review the student handbook located inside the front of your child’s planner or sent separately for K-1. Additionally, I am asking that all parents join the PTA as a sign of support for our partnership. 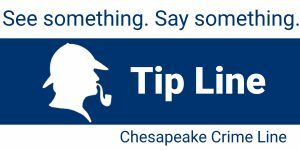 To stay current with the latest breaking news, follow us on Twitter @GFE_Gators or like our PTA’s Grassfield Elementary Facebook page. Thank you for your commitment to your child’s education and I look forward to seeing you in the very near future. We look forward to making this the best year yet as we become even better!